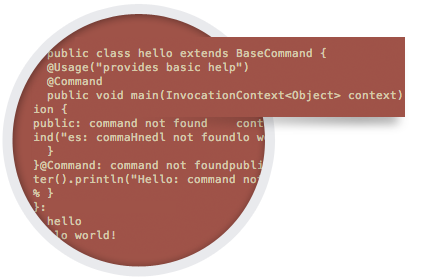 Using SSH, telnet or web, you can connect to a JVM running CRaSH and execute commands. 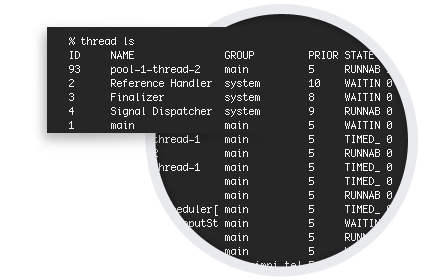 In a few lines of code, you can embed CRaSH and expose your services via a powerful command line interface. The hot reload feature provides rapid development, adding CRaSH among your services is easy. CRaSH : the shell for the Java Virtual Machine from JavaZone on Vimeo. CRaSH is officially embedded as Spring Boot remote shell. 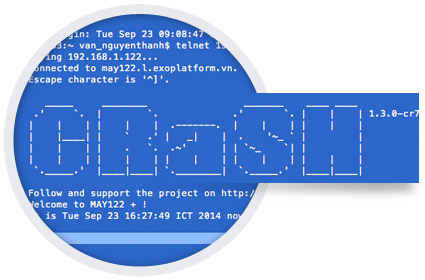 CRaSH is used as the main shell for OSv, a new operating system designed for the cloud.